Do you have pets at home? Cleaning up the pet’s hair is one of the common complaints of homeowners. Apparently, removing the pet’s hair from the sofa and even on the carpet is a daunting task. The good news is that there are machines that can be used in cleaning up the pet hair on the carpet and upholstery. It’s a great help for homeowners because the filter of this cleaner is designed specifically not only to eliminate the pet’s hair but also to absorb the odor. It is also equipped with functional and useful features that make the machine worth the cost. Thus, if you’re quite annoyed by the pet’s hair on your house, the best thing to do is to invest in a vacuum cleaner like Miele Complete C3 Cat & Dog canister vacuum. Nevertheless, before you decide purchasing the Miele Complete C3 vacuum, it makes sense knowing everything about it so that you’ll know if it’s a smart buy. 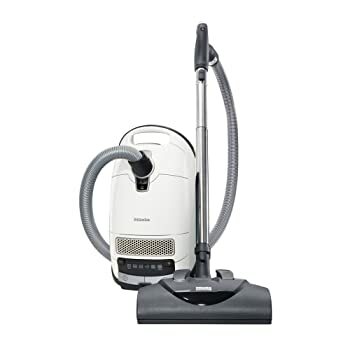 1200-watt, Miele-made Vortex Motor – Provides excellent suction power to let you clean any surfaces including pet hairs. Active AirClean Filter – The Miele Cat & Dog vacuum cleaner boasts the filter system that combines the AirClean technology with the active charcoal cassette responsible in absorbing and neutralizing the pet related odors. AirClean Sealed System – What makes this vacuum cleaner stands out among its competitors is the filtration system that can capture almost 99.9% of particles that are damaging to the lungs. Suction Control via +/- settings – It allow users to easily switch between 6 different suction levels, homeowners can expect that the machine can provide the correct level of suction power for different surfaces. 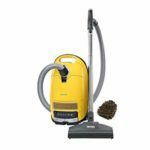 SEB 228 Electro Plus Electrobrush – The Miele Complete C3 Cat & Dog is a vacuum cleaner that features electro plus electrobrush that is perfect for pile carpeting and smooth surfaces. The height can be adjusted into five levels. SBB300-3 Parquet Twister – Another awesome feature of this vacuum cleaner is the parquet twister that rotates about 180 degrees. It provides exceptional cleaning particularly for smooth flooring. STB 101 Mini Turbobrush – Perfect for vacuuming delicate upholstery and cut-pile carpets. It also works best in cleaning stairs and removing pet hair and crumbs from the furnishings a lot easier. It also spins faster in such a way that the dirt in the carpet loosens. The suction pressure can be adjusted along with the vent. Deluxe Comfort Grip handle – You can use the vacuum with max comfortable level. Stainless steel telescopic wand – To extend the vacuum reach of impressive 36-foot operating radius. This is especially important for above floor cleaning. Long power cord – The power cord is nicely contained within the canister. Simply pull out the desired length for use and when finished simply press the rewind switch to rewind the cord automatically. Warranty – 7-year motor and casing; 1-year on all other components. If you want to buy this Miele Complete C3 Cat & Dog canister vacuum, you can get them by looking through this link. Beautiful and sturdy, modern stylish design with simple and quick preparation for use (assembling). Included various on-board attachments that are well-designed to provide exceptional maneuverability making the vacuuming work lots easier and faster. The sealed bag system makes no odor or appearance of any dust escaping from the machine. It has 6 powerful suction levels. Make it easier to switch between different types of surfaces. 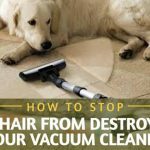 It is effective for getting rid pet’s hair from carpets and upholstery. Low noise as it operates quietly as compared to other vacuum cleaners. 360 degree castor wheels for high maneuverability and bumper strip to protect furniture’s from scratches. This is a high-end expensive vacuum. Though it is not cheap, but knowing its functional features you can say that it’s worth the cost. A canister vacuum with hose, wands and 3 specialized heads takes up considerably more room to store than other vacuum cleaners. The 3 filter system need to change periodically to maintain the efficiency of the vacuum: a filter bag, and exhaust filter, a dust compartment filter. No filter replacement indicator. 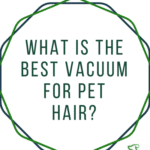 This vacuum model also recommended as one of the best vacuum for pet hair removals. If you’re planning to buy a canister vacuum you should consider Miele Complete C3 Cat & Dog. Many previous and current users of this cleaner recommend it to other homeowners. In fact, many users provide five star ratings to this product as they are satisfied not only with it features but also the overall performance. If you still doubt about the performance of this vacuum cleaner, the best thing to do is to read the customer’s reviews available online or any other online stores and do some extra research so that you’ll be guided in making your purchase. If I were tempted to purchase a Miele brand vacuum, I would visit their official website and actually call them… they would be happy to advise you on the model that they believe most closely fits your needs and situation in at a price point to suite your requirements. Also, you can come to the local vacuum stores to test the vacuum and you will know how good the cleaner is. Buying any product requires doing research and comparison. You shouldn’t be easily swayed by the claims of manufacturers that are too good to be true. Rather, you should take time doing research so that you’ll know the features, specifications and price of the product that you want to buy. Having a vacuum cleaner is a great help in maintaining the cleanliness of your home particularly if you have pets. Thus, if your present vacuum cleaner is unable to capture the pet hair, you should consider investing in this Miele machine. You can ensure that allergies can be prevented because Miele Complete C3 Cat & Dog canister vacuum came with sealed system. Obviously, pet hair can cause allergy to some people. In the same manner, it can be daunting getting rid the hair on the upholstery and on the carpet. Through the help of Miele C3 Cat and Dog vacuum cleaner you can ensure that you can easily capture and remove the pet hair. Thus, it’s a smart decision to buy this machine. You should not think about its cost, instead you should think how it will help you. 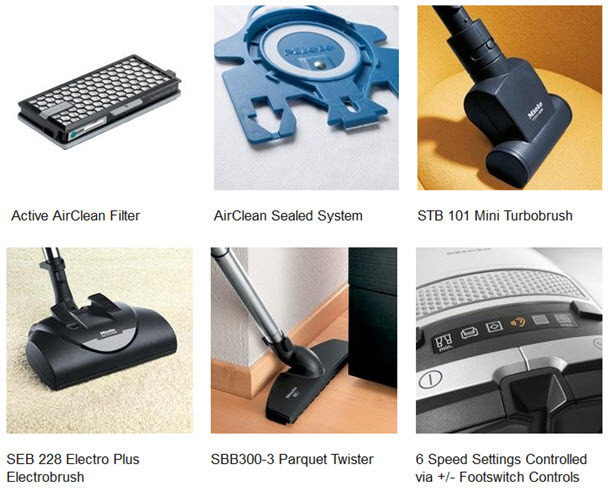 Now, where you can get the vacuum as I know everyone is looking for best deal? Luckily, I just do some research for you and found that Amazon.com is offering this product at quite reasonable price compare to other stores. Check Out the Miele Complete C3 Cat and Dog Canister Vacuum at Amazon.com Now!